Steve V. Baggett Service Details - Cordele, Georgia | Hughes & Wright Funeral Home, Inc.
— Hughes & Wright Funeral Home, Inc.
CORDELE – Funeral services for Steve V. Baggett, 67, will be at Northern Heights Baptist Church at 3 p.m., Friday, Nov. 23, 2018. The family will receive friends before the service from 1 p.m. until 2:30 p.m. at the church. 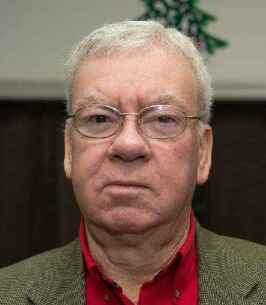 Graveside services will be on Saturday, Nov. 24, 2018 at 1 p.m. at Salem Baptist Church Cemetery, 1160 Salem Church Rd., Climax, Ga. Mr. Baggett died Monday night, Nov. 19, 2018 in Atlanta at Emory St. Joseph’s Hospital. Steve was born in Thomasville, Ga. to Virgil Baggett and Ailene Malatha Tilley Baggett. He is preceded in death by his parents and siblings, Kenneth Baggett and Greg Baggett. He was a retired machinist for Robins Air Force Base in Warner Robins, Ga. He was a very active member of Northern Heights Baptist Church, where he was the Men’s Sunday School Class assistant teacher. He also served on the church’s Usher Committee and the Church Finance Committee. He loved his friends and church family. He also enjoyed fishing and riding Harley motorcycles. The greatest love of Steve’s was his family, especially his grandchildren. Surviving Steve are his wife of 47 years, Martha S. Baggett of Cordele; his daughter, Tonja B. (Davey) Womack of Frisco, Tx. ; his sister, Charlotte (Gary) Brown of Bainbridge, Ga.; his grandchildren, Jansen Womack, Jaden Womack and Kade Womack all of Frisco, Tx. ; and his niece, Misty Brown of Thomasville, Ga. The family suggests for those desiring to make memorial contributions to do so to the Northern Heights Baptist Church Good Samaritan Fund or the Northern Heights Baptist Church Local Benevolence Fund, 1102 East 8th Ave., Cordele, Ga., 31015. Online condolences may be left at www.hughesandwright.com. 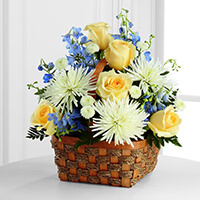 Hughes & Wright Funeral Home, Inc. is entrusted with these arrangements. 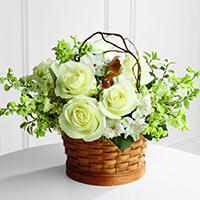 To send flowers to the family of Steve V. Baggett, please visit our Heartfelt Sympathies Store. 1 PM, SATURDAY, NOV. 24, 2018 Gary Brown will officate the committal service at Salem Baptist Church, 1160 Salem Church Road, Climax, GA 39834. We encourage you to share any memorable photos or stories about Steve V.. All tributes placed on and purchased through this memorial website will remain on in perpetuity for future generations. Martha I am sorry for your loss. We were saddened to hear about Steve. You are in our thoughts and prayers. Martha,Charlotte and Family We are sorry for your loss. You are in our thoughts and prayers. Martha and family, sorry to hear about Steve. Lots of memories of the years at ITT. Even though y'all had moved away, we still thought of you. Rest in peace. Praying that God will give you comfort and strength. We love you and we will be praying with you. We are so sorry for your loss. Our prayers and thoughts are with you! Ms Martha and family. We are so sorry for the loss of mr Steve. My heart is breaking for you to have to go thru this so suddenly. Know you and your family are in our hearts and our prayers. Love, The Minshew family.